There currently exists confusion on whether or not an independent private sector audit (IPSA) is required for large enterprises that submit a conflict minerals report for filing year 2015. The Conflict Minerals Final Rule as written by the Securities and Exchange Commission (SEC) is quite clear on when an IPSA is required[i] However, the confusion exists due to the Partial Stay[ii] and the Guidance the SEC issued in response to the 2014 DC Circuit Court ruling that companies do not need to make a “not found to be DRC conflict-free” product description[iii] . This ruling was recently upheld in the appeals court[iv] . The court just recently denied the SEC petitioned to have the suit go to en banc review[v] . 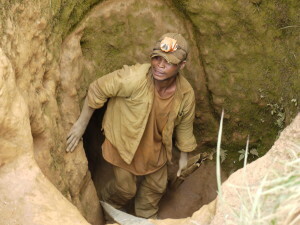 The Court concluded in 2014 that the Rule violates the First Amendment and that companies do not have to describe any of their products as ‘not been found to be “DRC conflict free.”’ The Court specifically noted that there was no First Amendment objection to any other aspect of the conflict minerals report or required disclosures and that all other elements of the rule were still in force. Because all other elements are still in force, I believe the court decision will not have a material impact on the effectiveness of the Rule or the desired outcome envisioned by Section 1502. In April of 2014 after the appeals court decision was made, the SEC issued a stay prior to the first year’s filings. The stay had two main points. The first was that a company did not have to make any product description, consistent with the court’s decision. The second part was “limiting the stay to those portions of the rule requiring the disclosures that the Court of Appeals held would impinge on issuers’ First Amendment rights furthers the public’s interest in having issuers comply with the remainder of the rule, which was mandated by Congress in Section 1502 and upheld by the Court of Appeals”. At the time of issuance, the guidance was consistent with the SEC final Rule that had an exclusion of an IPSA for companies that made a “DRC conflict undeterminable” product description during the two year temporary period. However, in the final rule, the need for an IPSA is not related to a company’s product description but relates to whether or not the company submitted a Conflict Minerals Report (i.e. part of the rule not effected by the court decision). As I see it, the existing guidance issued by the SEC with regards to the product description is consistent with the court decision. However, the guidance, with regards to when an IPSA is required is not consistent with the court decision and final rule now that the 2 year temporary period has expired. Thus the confusion. Bottom line, the SEC should issue further guidance, sooner rather than later. The guidance should either confirm IPSA’s are only required when a company makes a “DRC conflict-free” product description or that IPSA’s are needed for any Conflict Minerals Report filed. So, is the SEC pending further action? I hope so! Are you conflicted over getting an IPSA? Five factors to consider in addition to cost.